This past weekend y'all? The best. 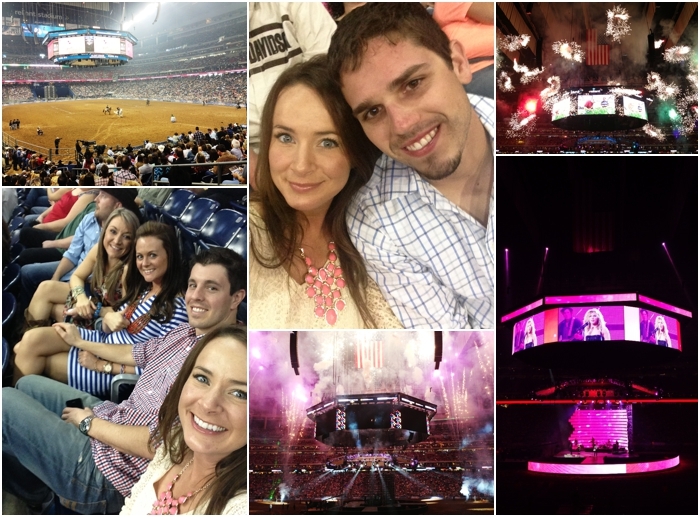 If you follow me on instagram, you already know that this past weekend was SO much fun. I got to FINALLY meet The Krysh's and hang out with Steph and Kristen! Katie and Bill were supposed to have visited Texas this past summer and gone to the river with us, but it didn't get to happen due to a family emergency. :( SO, this past fall, Katie and Billy re-booked their tickets to Houston to stay with Steph & Beau, so you KNOW this past weekend has been blocked off on my calendar for what feels like forever now. When I saw this weekend was approaching closer and closer, the happy dances started and group texts were getting more and more exciting! I first read Katie's blog in the very beginning of my bloggers days (haha) and I remember falling in love with her instantly because not only is she just a babe, but she owns the cutest most loveable pomeranian Rocky. The fact she loves poms like I do was just an instant "I know if I met this girl, I'd love her!" Well, my gut was right. I love her. Love is a total understatement too. This whole group of girls are seriously wonderful. All of our personalities are so different, yet so alike, and we all just clicked like we've known each other forever. I'm so thankful Stephanie and Katie are BFF's and that I got the opportunity to meet them. Seeing Stephanie and Katie together in real life is exactly what you'd think. They really are two peas in a pod, and I feel lucky to have spent this weekend with them. 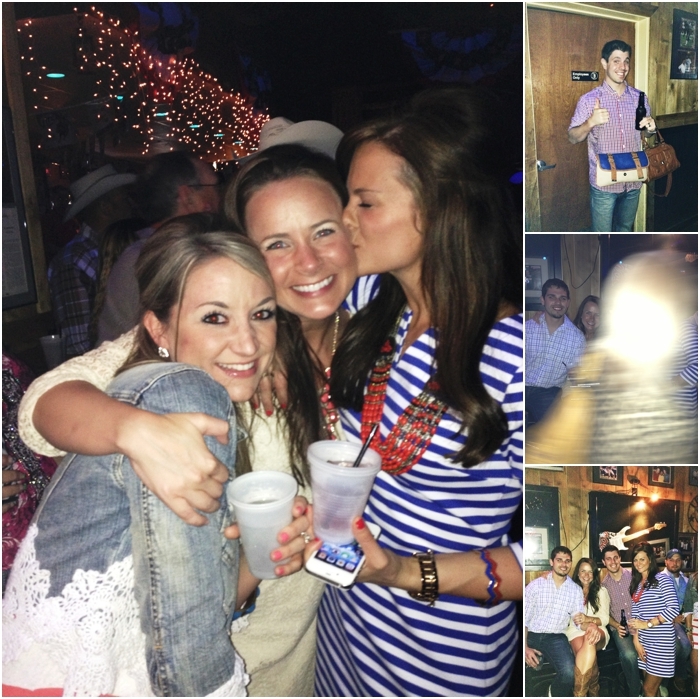 Here is Kristen's recap of the weekend, and I know Katie and Stephanie will have baller posts here really soon. 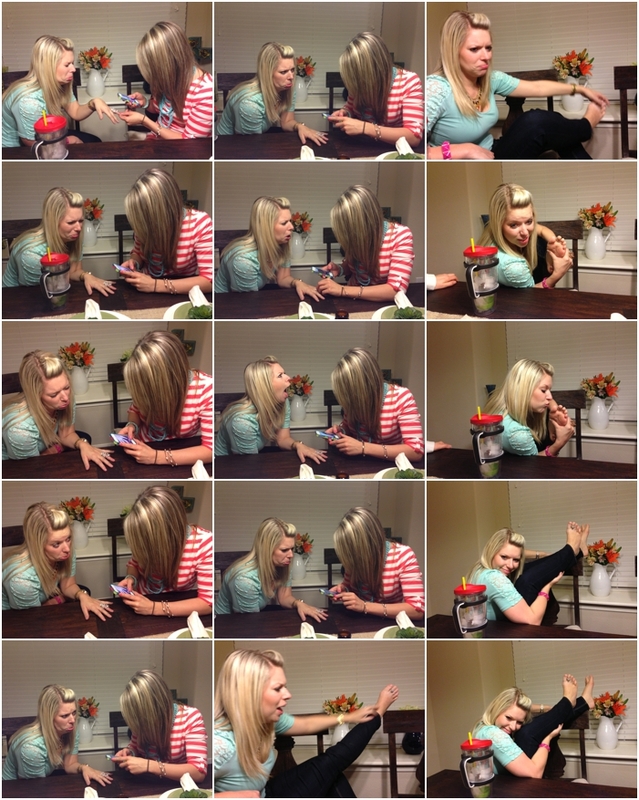 So until then, here is a mini recap of the fun via my iphone. Friday I had to drive back home 2 hours away to take Piper and Furlee to the babysitter (my Mom). Piper had me cracking up y'all. 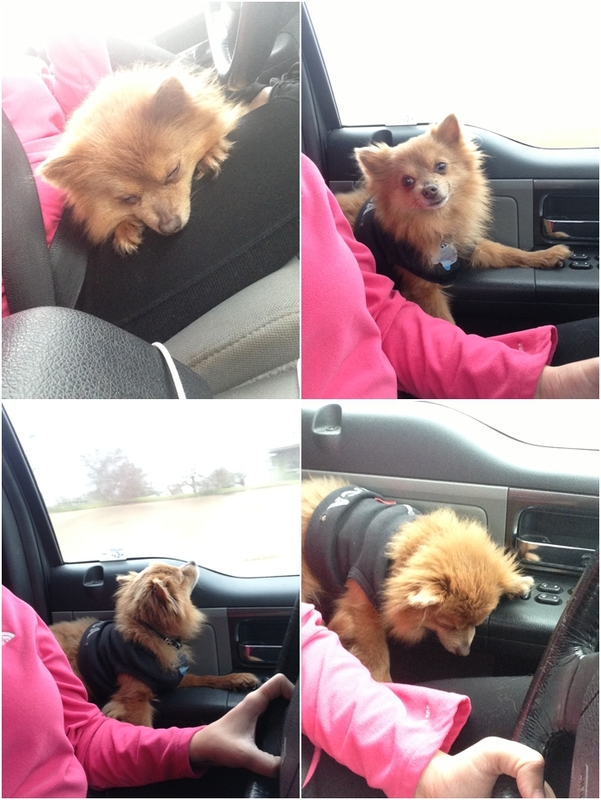 He is the cutest and loves riding in Drew's truck. 1. Sleepy Boy 2. "Yes Mom!?" 3. "Ahhhh I love dis life!" 4. "Zzzzz"
I got home, packed the bags, and road tripped it to Houston. Before I rang the doorbell, I got super nervous, but when I walked in to Steph's house, Steph and Katie came running up with huge hugs. I knew it was going to be a blast from that point on. 1. The Girls 2. Kristen is a ham. Love her. 3. Peas in a Pod 4. The boys having a good time. 1. Card Game is about to begin. 2. Da boys. 3. Love her. 4. We are lucky girls. The boys all got along really well, and played "throw the football into the trash can in the middle of the street" at midnight. Lol. Boys will be boys. We stayed up super late just talking and hanging out. Just good times, really. 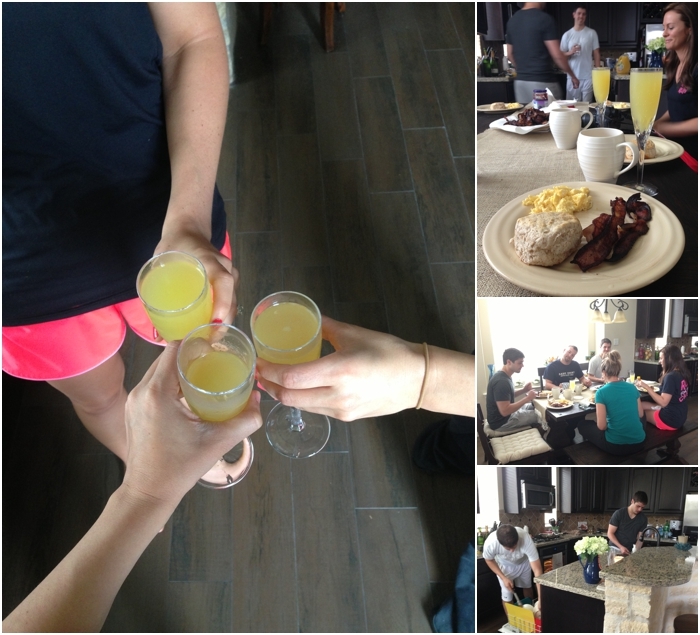 Steph cooked us breakfast (BEST hostess EVER, btw), and we all got dressed and headed to the Houston Rodeo. 1. The Rodeo 2. Us girls in the car excited to get the day started 3. My handsome cowboy and me at the Rodeo. 4. Girls photo! 1. More Rodeo. 2. Me and Drew ready for the concert. 3. Start of the show! 4. Group pic! :) 5. Here we goooo! 6. The Band Perry! 1. Girls at The Stockman's Club at the Rodeo 2. Horse that reminded me of Nacho Libre. 1. So much love! 2. Billy holding down the fort of purses and being a good sport. 3. The ultimate photo bomb. 4. The picture we tried to take before the photo bomb. 1. Steph making us her special "Jesus Juice" as she calls it. 2. Not bad! Cheers! 3. Playing with my food at lunch. 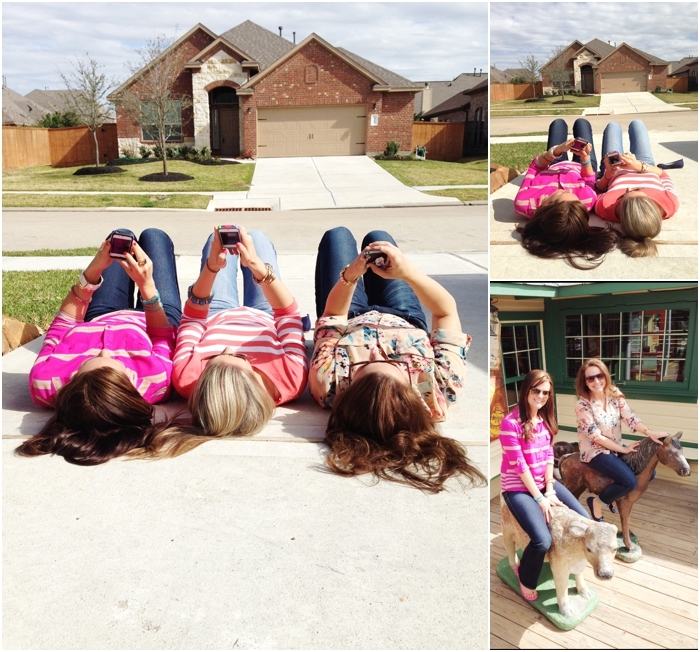 I soaked up the sun and the last couple of minutes with the girls in Steph's driveway. I didn't want to leave, but sadly, we finally packed up our things and said our goodbyes. I can't even imagine how hard it's going to be for Steph and Katie tomorrow when Katie gets back on the airplane. I know if you don't blog, this all sounds sort of silly, but seriously, these girls are the best. Katie, if you are reading this, just do us all a favor and DON'T LEAVE! 1. Typical bloggers. Sunshine. Love. 2. Love them. 3. Giddy Up Yo! Bill: You're a cool dude. I love you and Katie together and I will always remember, "Can we get some more tomatoes?" :) Please move here. I love your wife too much. 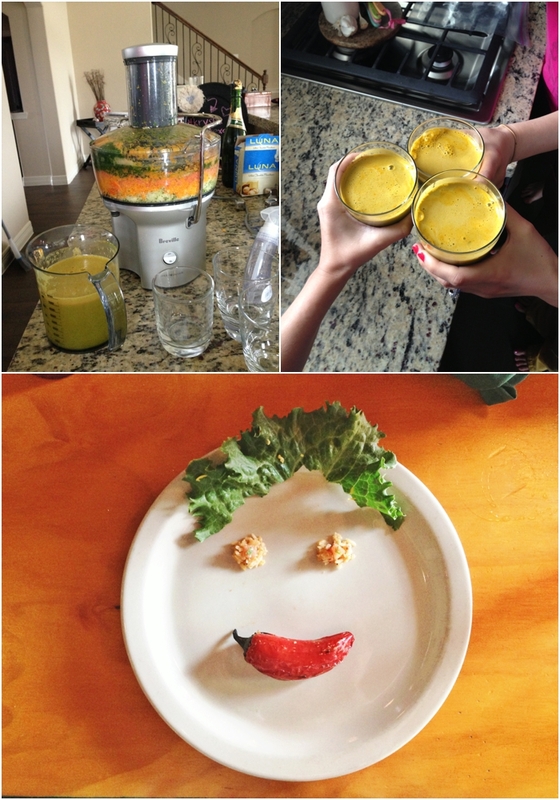 Stephanie (& Beau): As always, you guys are the best host/hostesses & friends in the world. 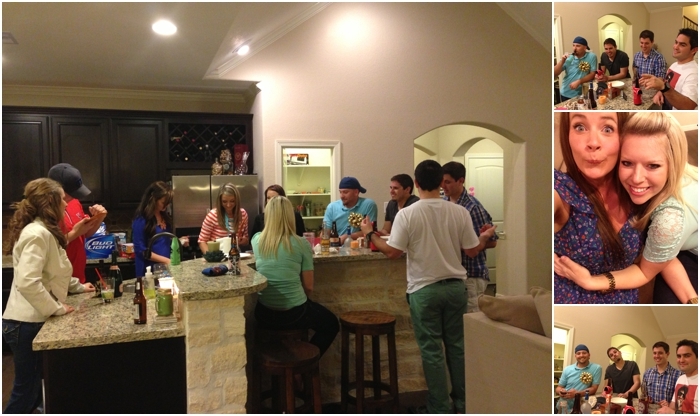 THANK YOU so much for letting us stay in your gorgeous home, and letting us hang out with you this past weekend! Drew and I kept talking about how blessed we are to have you in our lives. We seriously can't thank you enough for all you did for us this weekend, and hope to return the favor one day soon! :) WE LOVE YOU GUYS!!!! 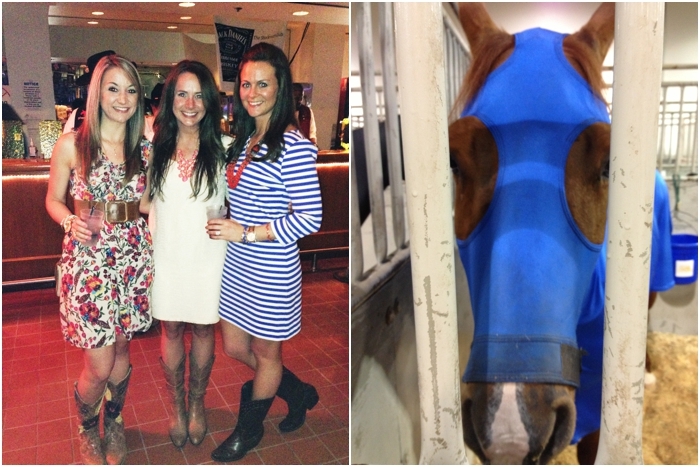 Be sure to tune in to Steph and Katie's blog for amazing recaps of the week/weekend. I know they won't disappoint. Man...and this week? So much going on. I have to get my house in order for an important visit tomorrow at my home (more on this SOON! ), a volleyball game tonight, wedding albums to complete, sessions/weddings to edit, my Mom is coming to help pack up the house and bring my dogs back to me (I MISS THEM SO MUCH! ), a wedding to attend on Friday AND a wedding to photograph on Saturday, SXSW (if there is time :-\) AND oh yes... I have to pack up my ENTIRE house THIS week and be out by Sunday for the foundation/plumbing/cosmetic work that is starting next Monday. We will be living with my brother and sister-in-law for a month (Thank GOD for amazing family members during this mess). If anyone wants to help us move out and move back in-in a month, let me know! ;) Haha jk. But seriously! I'm already exhausted thinking about this week. Yikes! 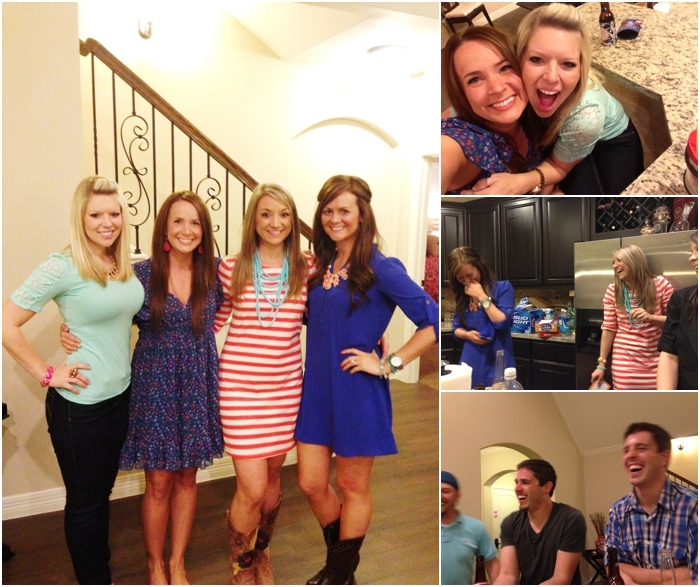 Looks like you girls and your lovas had an amazing time! Looks like such a fun weekend!!! awwww - yay! not gona lie i've been creeping y'alls instagrams like crazy. lol. Sounds amazing! You girls are all too cute and love that you all are so close! I love the dress you wore to Rodeo! Oh how I love this!! It looks and sounded like you all had an amazing time!! I'm a little jealous that I couldn't be there....as I'm sure most girls are reading this today. I'm pretty sure I liked every IG picture you all posted this weekend!!! So fun! You girls are too cute! looks like the absolute best time! How adorable are you ladies?! This is the sweetest post! Looks like a blast. Wow that looks like a fun weekend!! Haha, looks and sounds like great fun! Such an awesome bunch of girls, I want to meet you spend the weekend with you all too! 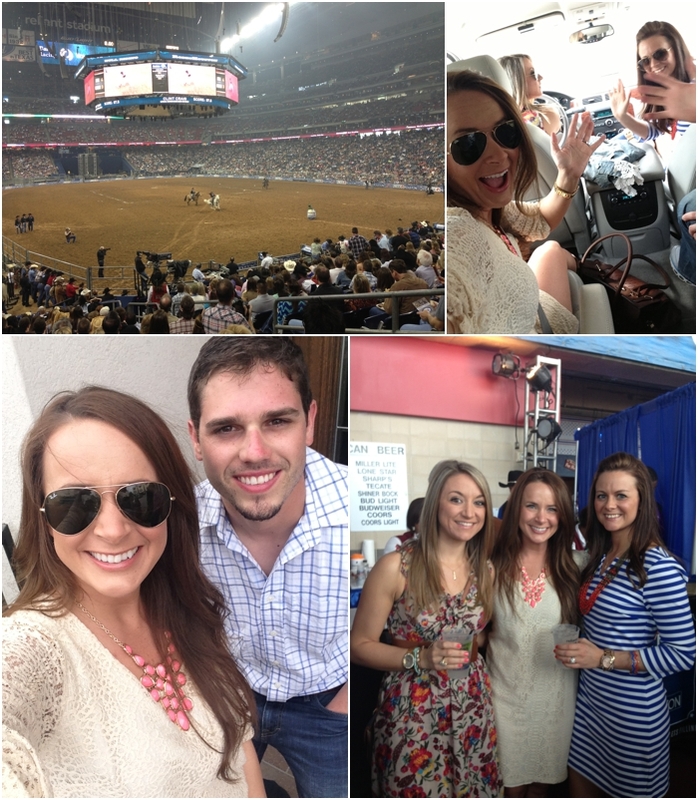 welllll, if I wasn't already super jealous via IG of y'all super fun weekend I certainly am now!! It looks like y'all had a blast! 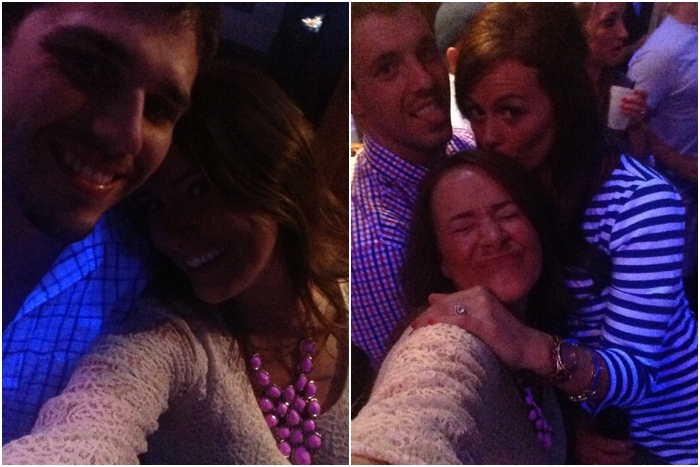 Nothing is better than meeting blog friends and turning them into RL friends! So cute Shay!! 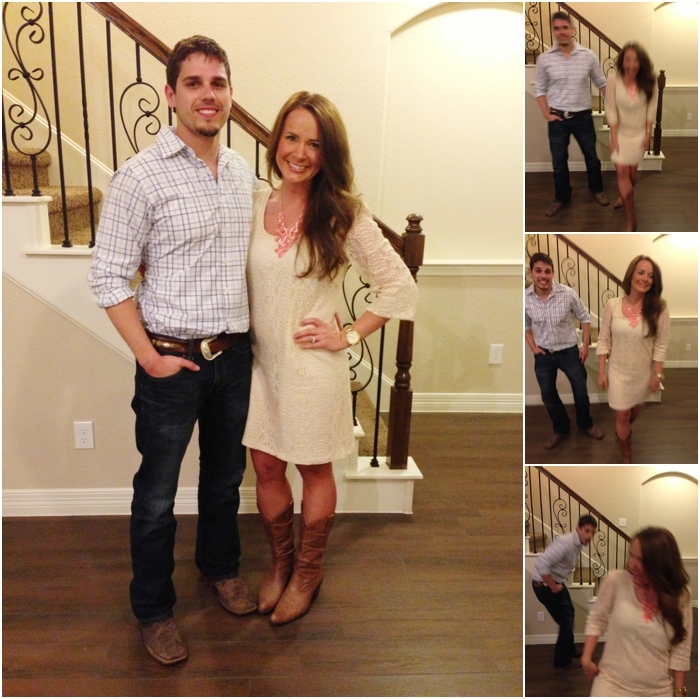 Loving all your outfits in these pics :-) Especially the Texas boots! Shay bay bay!!!! This lovely post was just what I needed this morning. Forgive me too because I didn't get around to seeing it yesterday with being in the airport and all!!! Lord I love you and DDHP SO MUCH!!!! You two are the most down to earth sweetest couple and I KNOW we will be together again soon! :) PS-All these collages are priceless. I shed a tear (happy and sad) throughout each one. MEMORIES we will never forget. you're amazing. that's all. hi ddhp! love to you too!